Arrests and ticket violations in New York City are dropping over the New York Police Department’s purported political protest against the mayor, but investigative journalist Matt Taibbi says the slowdown is exposing weaknesses in normal police policy. 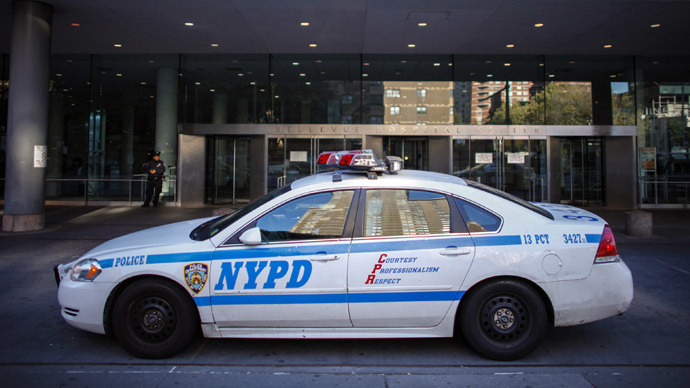 The number of arrests across the city last week plunged to just over 2,000 – compared to over 5,000 during the same time one year ago – with parking- and driving-related tickets down more than 90 percent, according to NYPD data. There has also been a drop in new inmates, with only 618 entering the system compared to over 1,000 a year ago. Speaking with RT, Taibbi said the so-called “work stoppage” – portrayed as a political police protest against Mayor Bill de Blasio over his sympathetic comments towards police brutality protesters – seems to be about trying to hit the mayor in the budget without endangering the public. “The police, in this slowdown, they are halting handing out parking tickets, which are enormously lucrative for the city, and they are also not doing these ‘quality of life’ summonses, which are a huge hardship on the people who get them but make significantly less money for the city. So there are two different things going on here,” he said. Taibbi said the slowdown demonstrates how police officers are used to make up for tax shortfalls with ticket and citation revenue. Cutting down summonses for “quality of life” issues also exposes the downfalls of “broken windows” policing. Taibbi added that police officers have told him that they wished they could go back to the days when they responded to calls, fought and investigated crime, and developed sources and informants – rather than issue summonses to meet quotas every month. Earlier this week during a presentation at police headquarters – when the city revealed the latest crime data, showing the lowest murder, robbery, and burglary rates for the city in the past 10 years – the mayor and Police Commissioner Bill Bratton responded to a question by stating that the lower crime figures were a result of police policies like broken windows, not because of the ineffectiveness of the programs. At this point, Mayor de Blasio interrupted Bratton to take the podium. “A lot of us were here in the 1980s, 1990s, and could never have imagined these kind of numbers. They are the result of a proactive strategy. They're the result of a number of strategies, one of which is the broken windows approach,” he said.